The night Twister was born, a hurricane tore through her town – giving Twister her wild ways, according to Aunt Honey. Twister’s pa disappeared that night too and nobody knows why. When, twelve years later, the town’s eccentric gives Twister a letter that he says her father left for her for ‘when the time is right’, it starts Twister on a journey to find out what happened to Pa. It’s a journey that starts with a lightning storm and ends with a bang; a journey on which Twister will need every ounce of cleverness, courage and friendship she can muster. 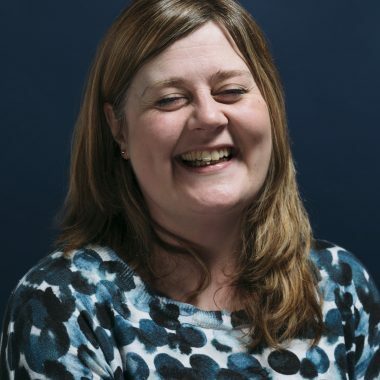 Juliette Forrest has worked for some of the UK’s top advertising agencies, as both a copywriter and an art director. Luckily for children everywhere, a couple of years ago she decided to turn her talents to writing middle grade fiction. 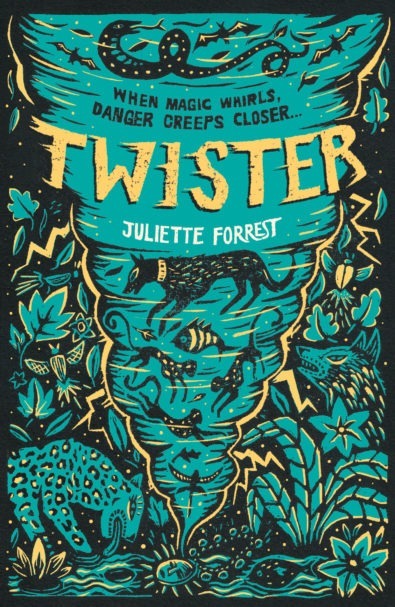 Her debut novel TWISTER was published in February 2018 by Scholastic UK . Her second, deliciously-chilling Middle Grade will follow in February 2019. As well as winning several industry awards for her TV, radio, press, poster and ambient media campaigns she was delighted to receive a New Writers Award from the Scottish Book Trust in 2014. Juliette lives in Glasgow with Vince, her rescue dog from Cyprus.